Sec. 255 of the Telecommunications Act of 1996 requires that all telecommunications services and manufacturers of telecommunications services equipment make their services and equipment accessible to individuals with disabilities, if readily achievable (Sec. 255 is an extension of the American with Disabilities Act). The FCC has twice asked whether these obligations should be extended to VoIP services: (1) the Sec. 255 NOI and (2) the IP Enabled Services Proceeding. In June 2007 the FCC concluded that Sec. 255 and TRS obligations would extend to "interconnected VoIP" service. Assessment and Collection of Regulatory Fees for Fiscal Year 2007, MD Docket No. 07-81, Report and Order and Further Notice of Proposed Rulemaking, 22 FCC 15712 (2007). "we waive for six months the requirement set forth in the VoIP TRS Order that interconnected VoIP providers must transmit 711 calls to an appropriate relay provider , as defined below. We also waive for six months traditional TRS providers' obligation to call to an appropriate PSAP when receiving, via interconnected VoIP service, a 711 call concerning an emergency." In this Order, we grant in part and deny in part several petitions for waiver relating to the Commission 's recent VoIP TRS Order . 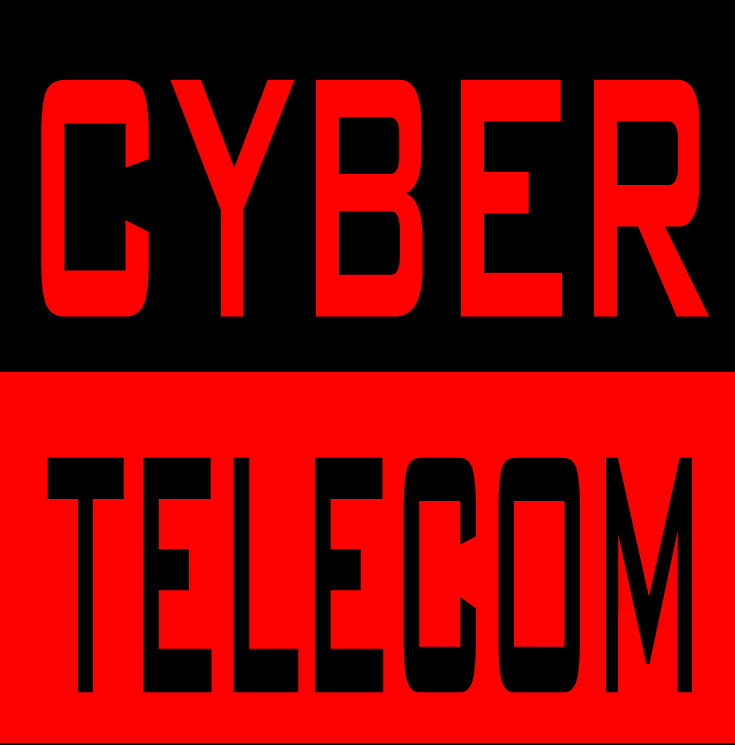 In that order, the Commission extended the telecommunications relay service (TRS) requirements contained in Part 64 of the Commission's rules to providers of interconnected voice over Internet Protocol (VoIP) services. Among the requirements extended to interconnected VoIP providers is the obligation to offer 711 abbreviated dialing access to traditional relay services via a voice telephone or a text telephone (TTY). The petitions for waiver raise issues concerning (1) the ability of an interconnected VoIP provider to route the inbound leg of a 711 call to an appropriate TRS provider, particularly when the caller's telephone number does not correspond to the caller's actual location, and (2) the ability of a TRS provider that receives, via an interconnected VoIP service, a 711 call concerning an emergency to determine an appropriate Public Safety Answering Point (PSAP) to call. As set forth below, we recognize that in certain circumstances there are technical challenges to the ability of interconnected VoIP providers to route 711 calls to an appropriate relay center. Similarly, we recognize that in certain circumstances TRS providers receiving 711 emergency calls via an interconnected VoIP service may not be able to determine an appropriate PSAP to call in compliance with the TRS emergency call handling requirements. As a result, as set forth below, we waive for six months the requirement set forth in the VoIP TRS Order that interconnected VoIP providers must transmit 711 calls to an appropriate relay provider , as defined below. We also waive for six months traditional TRS providers' obligation to call to an appropriate PSAP when receiving, via interconnected VoIP service, a 711 call concerning an emergency. Further, in the Public Notice we seek comment on the petitions for stay and/or waiver. RFC: 14. As set forth above, we grant in part and deny in part the petitions for a stay or waiver filed by the VON Coalition, USTelecom, and Hamilton. We now seek comment on these petitions. In particular, we seek comment on technical solutions to the ability of interconnected VoIP providers to route all 711 calls to an appropriate relay center, as defined above, and to the ability of a relay center to identify the appropriate PSAP to call when receiving an emergency call via 711 and an interconnected VoIP service. 15. We also expect that interconnected VoIP providers, relay service providers, and members of the industry and community work closely together to achieve a solution as expeditiously as possible that will enable emergency 711 calls placed through interconnected VoIP to be handled in accordance with our emergency call handling procedures. In comments supporting a limited extension of time to comply with our rules, Wireless Communications Association International, Inc., states that "a meaningful solution requires cooperation and dialogue among a variety of interested parties, including service providers, vendors, the disabled community, TRS providers and . . . the public safety community." We agree, and to this end, we seek comment on the waiver requests submitted by the VON Coalition, USTelecom, and Hamilton Relay, and the technological issues raised therein. 16. Pursuant to sections 1.415 and 1.419 of the Commission's rules, 47 C.F.R. §§ 1.415, 1.419, interested parties may file comments in this proceeding 30 days after publication in Federal Register and reply comments may be filed 45 days after publication in Federal Register . . . . . . DISABILITY ACCESS REQUIREMENTS EXTENDED TO VOIP SERVICES. The Commission extended the disability access requirements of Sections 225 and 255 of the Communications Act to providers of interconnected VoIP services and to manufacturers of specially designed equipment used to provide those services. News Release. Adopted: 05/31/2007. 58. We seek comment on how we should apply the disability accessibility requirements set forth in sections 255 and 251(a)(2) to any providers of VoIP or other IP-enabled services. In September 1999, the Commission issued an order adopting rules to implement sections 255 and 251(a)(2) (Disability Access Order), which included a Notice of Inquiry regarding, among other things, section 255’s applicability in the context of “Internet telephony” and “computer-based equipment that replicates telecommunications functionality.” We invite commenters here to refresh the record compiled in response to that Notice of Inquiry. We ask that commenters address the range of questions presented above in relation not only to the “IP telephony” services that were the focus of the prior Notice, but also with regard to the full range of other IP-enabled services at issue here. Specifically, do and should the rules established in the Disability Access Order apply in the context of VoIP or other IP-enabled services? We note specifically that in the Disability Access Order, the Commission relied on Title I to apply section 255 obligations to providers of voicemail and interactive menu services, both of which were deemed “information services.” Would that approach be appropriate with regard to any providers of VoIP or other IP-enabled services that we deem to be “information services”? 59. Section 225 of the Communications Act requires common carriers offering voice telephone service to also provide Telecommunications Relay Service (TRS) so that persons with disabilities will have equal access to the telecommunications network. Beyond traditional TRS, which requires the use of a teletypewriter (TTY), the Commission has implemented this mandate by determining that two IP-enabled services, IP Relay and Video Relay Service (VRS), are forms of TRS. In both scenarios, the Commission determined that TRS, as defined, was not limited to “telecommunications” and that Congress intended the term “telephone transmission services” to be interpreted broadly to implement section 225’s goal to “ensure that interstate and intrastate [TRS] are available, to the extent possible and in the most efficient manner, to hearing-impaired and speech-impaired individuals in the United States.”175 We seek comment on how these interpretations should inform our deliberations as we consider the appropriate classifications for IP-enabled services. We also note that current or future IPenabled services may facilitate communications by individuals with disabilities more effectively than traditional technologies. To what extent, if any, will the advent of IP-enabled services improve traditional services designed to ensure access by persons with disabilities? 60. Relatedly, we seek comment on how migration to IP-enabled services will affect our statutory obligation to ensure that interstate and intrastate telecommunications relay services are available to hearing-impaired and speech-impaired individuals. Section 225 created a cost recovery mechanism whereby providers of eligible TRS services are compensated for the “reasonable costs” of providing interstate TRS176 and required the Commission to prescribe regulations ensuring that those costs “be recovered from all subscribers for every interstate service and costs caused by intrastate telecommunications relay services shall be recovered from the intrastate jurisdiction.”177 We seek comment regarding how other decisions we make in this docket might affect contributions to the Interstate TRS Fund, and how, if at all, the Commission should amend its rules in light of the increasing use of IP-enabled services. We also seek comment on how any change in our TRS rules will affect the provision of intrastate TRS by the states. Reply Date: February 14, 2000 . FCC Announces NOI on whether Sec. 255 Should Apply to IP Telephony.
" 173. While we believe this Order takes a dramatic step toward bringing people with disabilities into the information age, we recognize that there is much to be done. There is a vast array of communications -related services available today that are not covered by these rules. In addition, there are new technologies, which may be outside the scope of these rules, being developed that may further revolutionize the way we communicate. These developments will undoubtedly affect access to communications for people with disabilities. We must ensure that the disability community is not denied access to innovative new technologies, for example Internet and computer-based services, that may become complements to, or even replacements for, today's telecommunications services and equipment. "174. We are cognizant, in general, of the speed with which innovative next generation technologies are changing the way communications services are offered to the public, and the challenges posed to the disability community by these new technologies if they are not accessible. We lack, however, knowledge of the specific characteristics of those changes, and the implications for accessibility for people with disabilities. Given the rapid evolution of communications and the pace of technological innovation, we need to ensure that as new services and networks are developed they are designed to provide access to persons with disabilities.
" 175. Accordingly, we are issuing this Notice of Inquiry (NOI) to aid our understanding of the access issues presented by communications services and equipment not covered by the rules we adopt in this Order. Our goal is to take full advantage of the promise of new technology, not only to ensure that advancements do not leave people with disabilities behind, but also to harness the power of innovation to break down the accessibility barriers we face today and prevent their emergence tomorrow. While we are interested in all aspects of communications technology that may present accessibility issues, we specifically request information on two types, Internet telephony and computer-based equipment that replicates telecommunications functionality. First, we ask commenters to address the extent to which Internet telephony has begun, to replace the traditional telecommunications services, including usage patterns by person with disabilities, which Congress clearly intended to be subject to section 255. Second, we ask commenters to advise us on the impact of computer based applications that provide telecommunications functionalities farther into a customer's premise than the point of connection with the public network, such as voicemail capability that resides in a computer connected to a PBX, rather than in a PBX. We ask commenters not to limit their responses to these two areas, however, but rather to raise any issues of innovations in telecommunications that may present accessibility challenges for the disability community.
" 176. We are also expressly interested in commenters' views on the extent to which government regulation will be necessary to ensure accessibility of communications technology in the future. We note, for example, the commitment of the Voice on the Net (VON) Coalition to voluntarily ensure that Internet telephony services provided by its members are "accessible as readily achievable", and to take into account disability access needs when developing new products and services. Because of our strong interest in ensuring that the disability community is not denied access to any communications technologies, we ask commenters to tell us what we can do the guarantee that access." Note that the FCC did establish the precedent of applying Sec. 255 requirements on two other information services: voicemail and interactive menu services. WIP Links related to the American Disabilities Act. Discussion. Upon further analysis, we conclude that section 225 does not prohibit us from requiring relay services to accommodate enhanced or information services. We find that section 225 does not limit relay service to telecommunications services, but rather, to the contrary, expressly reaches enhanced or information services. In fact, section 225 specifically defines TRS as a service that "provides the ability for an individual who has a hearing impairment or speech impairment to engage in communication by wire or radio . in a manner that is functionally equivalent to the ability of an individual who does not have [such an]. impairment to communicate using voice communication services by wire or radio." Communication by wire and radio encompasses both telecommunications and information or enhanced services. Both "communication by wire" and "communication by radio" are broad terms defined in section 3 of the Communications Act. They are not limited to telecommunications services, but include "the transmission .of writing, signs, signals, pictures and sounds of all kinds.including all instrumentalities, facilities, apparatus, and services (among other things, the receipt, forwarding, and delivery of communications) incidental to such transmission." This latter definition sweeps broadly and extends to information services, as defined in section 3(2) of the Act. -- In the Matter of Telecommunications Relay Services and Speech-to-Speech Services for Individuals with Hearing and Speech Disabilities, CC Docket No. 98-67, Report and Order and Further Notice of Proposed Rulemaking, ¶ 88 (March 6, 2000). 78. We decline to expand the meaning of "telecommunications services" to include information services for purposes of section 255, as urged by some commenters. In the NPRM, we recognized that under our interpretation of these terms, some important and widely used services, such as voicemail and electronic mail, would fall outside the scope of section 255 because they are considered information services. We conclude, however, that we may not reinterpret the definition of telecommunications services, either for purposes of section 255 only or for all Title II regulation. First, we emphasize that the term "information services" is defined separately in the Act. As we noted in the NPRM, there was no indication in the legislative history of the 1996 Act that Congress intended these terms to have any different, specialized meaning for purposes of accessibility. 79. Furthermore, in a Report to Congress that was released subsequent to the NPRM, we reiterated the distinction between information services and telecommunications services. Specifically, we found that "Congress intended [that] the categories of `telecommunications service' and `information service' to be mutually exclusive, like the definitions of 'basic service' and 'enhanced service' developed in our Computer II proceeding, and the definitions of 'telecommunications' and 'information service' developed in the Modification of Final Judgment that divested the Bell Operating Companies from AT&T." While we decline here to redefine the meaning of telecommunications services, either for purposes of section 255 or more broadly, we do think it is appropriate, as we discuss below, to use ofur ancillary jurisdiction to extend to certain non-telecommunications services accessibility obligations that mirror those under section 255 in order to effectuate Congress' intent that we make telecommunications services accessible. 107. On this same basis, however, we decline to extend accessibility obligations to any other information services. While some commenters have argued that there is an overwhelming need for all information services to be accessible to people with disabilities, we assess the record differently, and use our discretion to reach only those services we find essential to making telecommunications services accessible. Unlike voicemail and interactive menus, other information services discussed by commenters do not have the potential to render telecommunications services themselves inaccessible. Therefore, we decline to exercise our ancillary jurisdiction over those additional services. Many of these other services are alternatives to telecommunications services, but not essential to their effective use. For example, e-mail, electronic information services, and web pages are alternative ways to receive information which can also be received over the phone using telecommunications services. In contrast, inaccessible and unusable voicemail and interactive menus operate in a manner that can render the telecommunications service itself inaccessible and unusable. 108. Our assertion of ancillary jurisdiction is thus discrete and limited. Consequently, we dismiss the contention that including even a single information service under our accessibility and usability rules could lead to the full-scale regulation of entities providing information services, such as Internet Service Providers. Nor can we credit the argument that extension of these provisions through ancillary jurisdiction will chill innovation, resulting in less accessibility not more. We do emphasize, however, that our decision to apply these accessibility obligations to two discrete information services does not alter the regulatory classification afforded these services. Nor is it our intent by this action to apply any additional provisions of the Act to providers and manufacturers of voicemail and interactive menu services and equipment. Thus, as a general matter, we are not altering our past or current treatment of information services. -- In the matter of the Implementation of Sections 255 and 251(a)(2) of the Communications Act of 1934, as Enacted by the Telecommunications Act of 1996, WT Docket No. 96-198, Report And Order And Further Notice Of Inquiry (September 29, 1999) (footnote numbering off). Should VoIP providers be required to facilitate communications with consumers having hearing or other physical disabilities that require use of telephone relay or other special services? Implementation of Section 255 of the Communications Act of 1934: Access to Telecommunications Services, Telecommunications Equipment, and Customer Premises Equipment by Persons with Disabilities, Notice of Proposed Rulemaking, 13 FCC Rcd 20391 (1998). Telecommunications Act Accessibility Guidelines, 63 Fed. Reg. 5608 (1998) (codified at 36 C.F.R. Part 1193). Telecommunications Access Advisory Committee, Access to Telecommunications Equipment and Customer Premises Equipment by Individuals with Disabilities, Final Report, Jan. 1997. Access Board, Telecommunications Act Accessibility Guidelines for Telecommunications Equipment and Customer Premises Equipment, Notice of Appointment of Advisory Committee Members and Notice of First Meeting, 61 Fed. Reg. 13813 (Mar. 28, 1996). Telecommunications Act of 1996, Pub. L. 104-104, 110 Stat. 56 (1996), SECTION 255. ACCESS BY PERSONS WITH DISABILITIES. `(1) DISABILITY- The term `disability' has the meaning given to it by section 3(2)(A) of the Americans with Disabilities Act of 1990 (42 U.S.C. 12102(2)(A)). `(2) READILY ACHIEVABLE- The term `readily achievable' has the meaning given to it by section 301(9) of that Act (42 U.S.C. 12181(9)). `(b) MANUFACTURING- A manufacturer of telecommunications equipment or customer premises equipment shall ensure that the equipment is designed, developed, and fabricated to be accessible to and usable by individuals with disabilities, if readily achievable. `(c) TELECOMMUNICATIONS SERVICES- A provider of telecommunications service shall ensure that the service is accessible to and usable by individuals with disabilities, if readily achievable. `(d) COMPATIBILITY- Whenever the requirements of subsections (b) and (c) are not readily achievable, such a manufacturer or provider shall ensure that the equipment or service is compatible with existing peripheral devices or specialized customer premises equipment commonly used by individuals with disabilities to achieve access, if readily achievable. `(e) GUIDELINES- Within 18 months after the date of enactment of the Telecommunications Act of 1996, the Architectural and Transportation Barriers Compliance Board shall develop guidelines for accessibility of telecommunications equipment and customer premises equipment in conjunction with the Commission. The Board shall review and update the guidelines periodically. `(f) NO ADDITIONAL PRIVATE RIGHTS AUTHORIZED- Nothing in this section shall be construed to authorize any private right of action to enforce any requirement of this section or any regulation thereunder. The Commission shall have exclusive jurisdiction with respect to any complaint under this section.